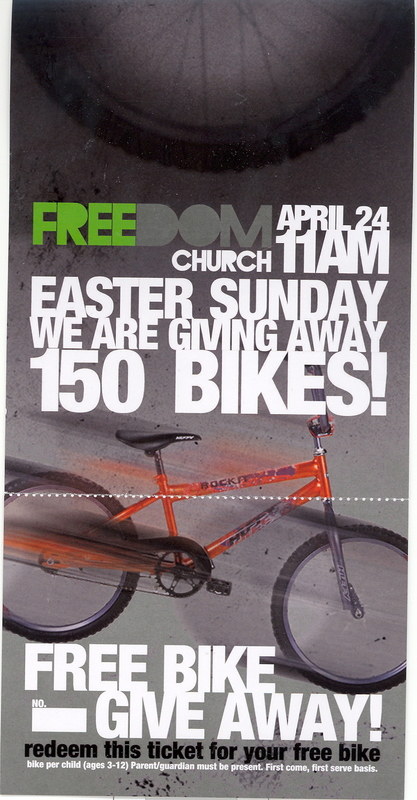 This entry was posted on Monday, April 18th, 2011 at 11:07 pm	and tagged with easter, free bike, ressurection and posted in Religion. You can follow any responses to this entry through the RSS 2.0 feed. « What did you do on April 15?